The AIBC is pleased to announce that 12 exceptional recipients were named winners of the 2015 AIBC Architectural Awards. 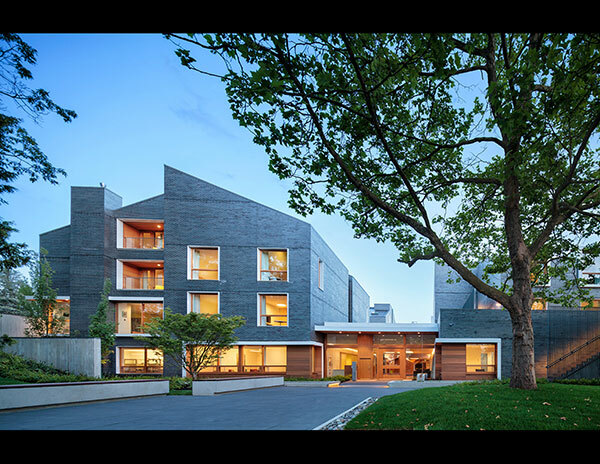 The awards were presented in four categories representing the best in architecture from the AIBC community and were handed out on October 28, the first day of the 2015 AIBC Annual Conference. Vomo Spa, Vomo Island Resort by ABC Architecture Building Culture Inc.
Pitt River Middle School by Perkins+Will Canada Architects Co.
Newton Field House by Public Architecture + Communication Inc.
Special Jury Award for Adaptively Increasing Urban Density: 564 Beatty Street by Bruce Carscadden Architect Inc. & IBI Group Inc.
Special Jury Award for Inverting Assumptions About Landscape: Vermilion Sands by Matthew Soules Architecture Inc.
Lieutenant-Governor of British Columbia Award in Architecture – Merit Level (7) – recognizing excellence in architectural projects completed within the past eight years and led by a B.C.-registered architect. Firm: ABC Architecture Building Culture Inc. The site of the new spa for Vomo Resort is located at the heart of the island’s exotic natural garden on the spectacular lowland peninsula of Vomo Island, Fiji. The island is a botanical haven and a natural oasis, and these qualities were key considerations. The challenge for ABC Architecture Building Culture was to make a pacific paradise that was an alternative to the open ocean beach panorama, and to develop an architectural language that purposefully allows a reciprocal influence between traditional Pacific and contemporary forms and expressions. Emergency services personnel are society’s truest public servants and critical to the health, safety and resilience of the community. 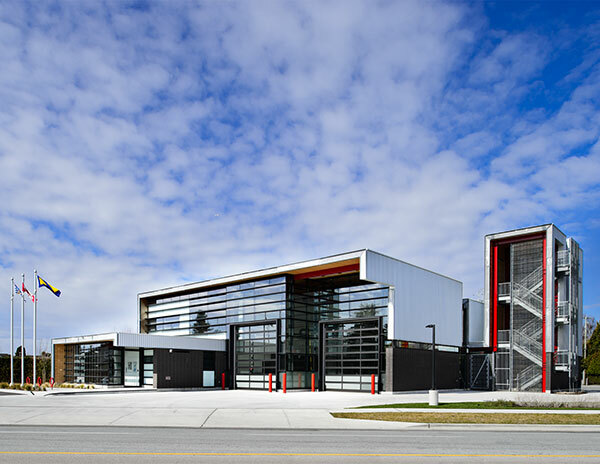 After extensive study, the City of Richmond decided to transform the Steveston Fire Hall into a new state-of-the-art facility. Despite strict technical requirements for fire hall construction, HCMA Architecture + Design sought a fresh design approach to blend firefighters’ work and living spaces. Innovative sustainable design principles were paramount for this LEED® Gold certified project. Sustainable features include a geothermal system, solar water pre-heating and extensive recycled materials. Ronald McDonald House BC & Yukon provides a “home away from home” for out-of-town families with children receiving medical treatment at BC Children’s hospital. The new House serves 73 families and includes kitchen and dining areas, fitness and play facilities, library resources, office areas, educational space and outdoor play areas. The project was designed with concentric ‘rings’ of community, to help support each child and family. Four smaller scaled houses – River, Beach, Forest, and Mountain – provide a sense of identity and place. The Wood Innovation Design Centre is, for the moment, the world’s tallest modern all timber structure, a record soon to be broken by other mass timber buildings in the works. Michael Green Architecture sought to demonstrate economical, repeatable technologies for building high-rise structures with timber and was realized as a Design Build with a short schedule of design and construction over 15 months. Testing of fire, smoke, acoustic and structural innovations happened in tandem with design and construction leaving little time to adapt throughout. The office of mcfarlane biggar architects + designers’ Bookstore renovation and expansion at the University of British Columbia (UBC) in Vancouver BC both redefines the university bookstore while simultaneously animating and bringing vitality to the campus heart. 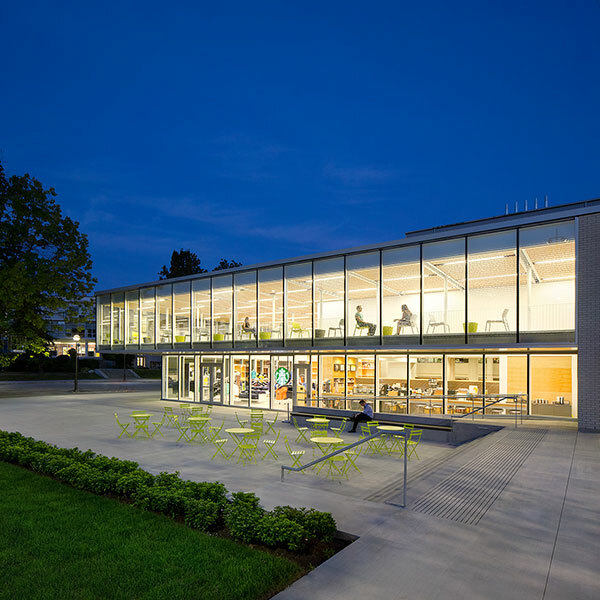 Situated in a prominent location at the Campus center, the original building suffered from lack of a clear and visible entry. The addition provides a lighter, brighter, more welcoming presence that both respects and contrasts the tough solidity of the existing building and transforms the Bookstore into a vibrant social space. Firm: Perkins+Will Canada Architects Co.
Pitt River Middle School begins each day as a quiet, white box, clad in corrugated siding. As the day begins and the 5,580 SM school for 450 students in grades 6-8 comes to life, bi-folding shutters that protect the building at night from vandalism are opened to reveal the warmth of the timber columns highlighted with brightly coloured panels. In their open position the perforated shutters provide solar shading, and they can be lowered to provide glare control as necessary. After dark, the rigid shutters transform into a diaphanous curtain. Firm: Public Architecture + Communication Inc.
Newton’s park needs are simultaneously immense and intimate. At times, the park hosts regional sport tournaments and at others it is a neighbourhood park. To bridge these scales the 100 m2 field house is conceived by Public Architecture + Communication as one of a series of structures in a playground. On game day, the structures visually unite through consistent colour treatment. Inside, a minimum of doors or corners ensure user flow is unimpeded. For the rest of the year, the building’s soft forms counter the perception of the building’s scale. AIBC Innovation Award (2) – achievements in building design that are not strictly architectural but that have a direct bearing on the future of architecture and completed within the past eight years. 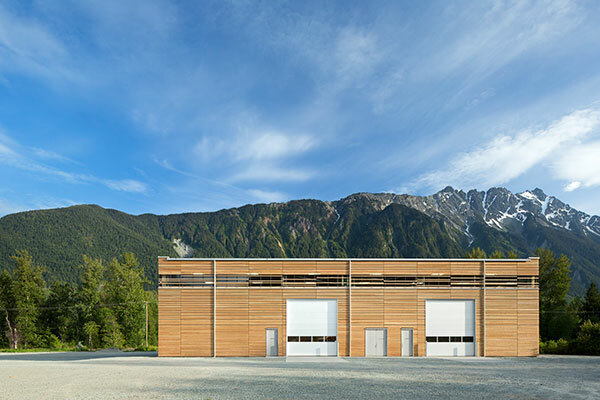 The BC Passive House Factory is an ‘all wood construction demonstration project built by Hemsworth Architecture, a company dedicated to the concept of truly sustainable construction methodologies. 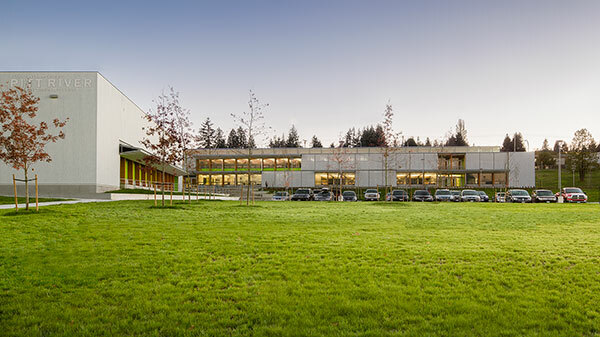 BC Passive House (BCPH) mandated that the facility design must exemplify their commitment to wood design and sustainable construction practices. BCPH envisioned a high quality, modern alternative to traditional warehouse and big store construction. The facility is the first of its kind in North America and demonstrates sustainable, energy efficient construction methodologies that use innovative wood based construction materials. The Wood Innovation Design Centre celebrates wood as one of the most beautiful and sustainable materials for building, and serves as a gathering place for researchers, academics, design professionals and others interested in generating ideas for innovative uses of wood. The eight-story building, which includes six stories plus mezzanine and penthouse, stands 29.5 metres tall. 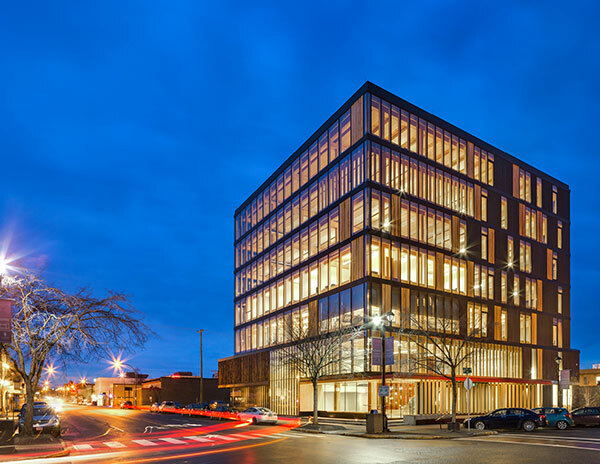 With this project, Michael Green Architecture sought to demonstrate economical, repeatable technologies for building high-rise structures with timber, in hopes of inspiring institutions, private sector developers, and other architects and engineers to embrace this way of building. AIBC Emerging Firm Award (1) – recognizing newly-established, AIBC-registered firms that have embraced broader, modern types of practice reflecting the changing nature of the profession. Measured Architecture Inc. was founded in 2007 with the goal of creating thoughtful, challenging, innovative buildings working with like-minded clients, builders and collaborators. 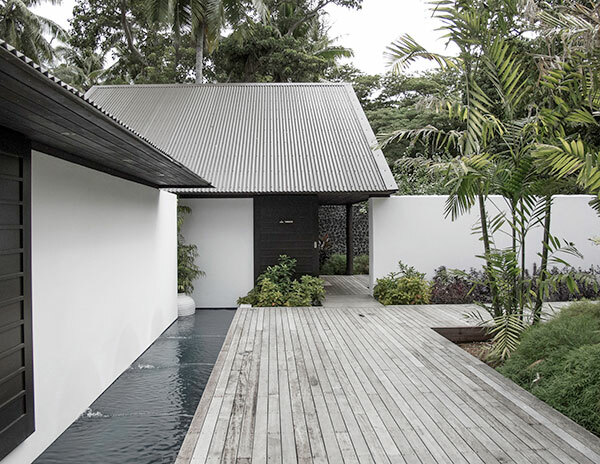 Architect Piers Cunnington joined founding principal Clinton Cuddington in 2009 and since then, they have created buildings that are socially, environmentally and culturally sustainable. Current projects consist of private houses at various scales, public art projects in collaboration with other artists and public/private gallery spaces. 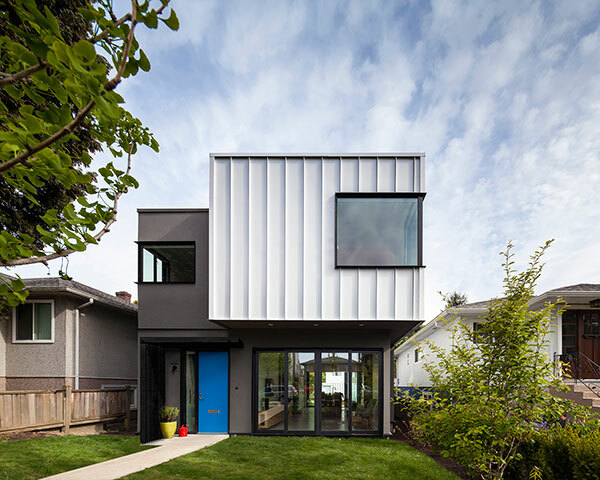 In 2014, Measured gained both local and international attention for its Cloister House, which won the inaugural Vancouver Urban Design Award in the Small Residential category. AIBC Special Jury Award (2) – a discretionary honour for outstanding achievement. Firm: Bruce Carscadden Architect Inc. & IBI Group Inc. 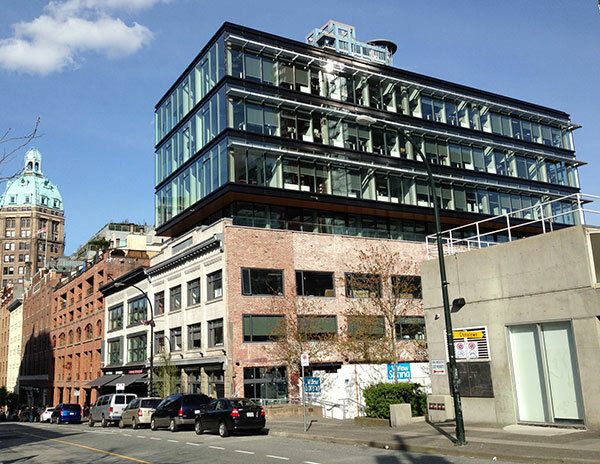 The central challenge of 564 Beatty Street for Bruce Carscadden Architect, IBI Group and Robert Leshgold was one of density. 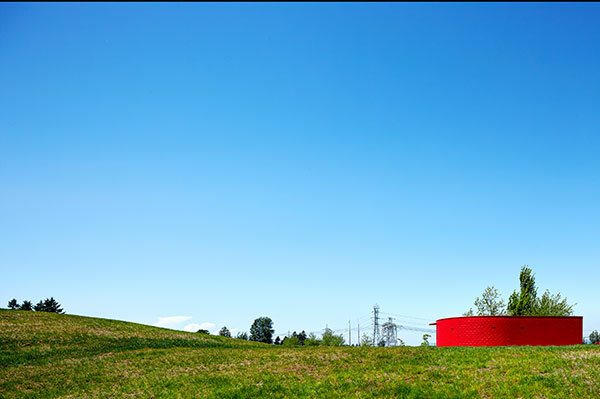 Under-utilized and near abandoned for decades, the project sought to reimagine and capitalize on its position at the crossroads of Vancouver’s Downtown Eastside, new emerging civic precinct and significant arterial transit station. The project corrected the incomplete 2006 introduction of the Keefer Steps which were a kernel of an urban design idea. The renewed 564 Beatty addresses this with new intense focus including fenestration, restaurant patio and additional building entrance. 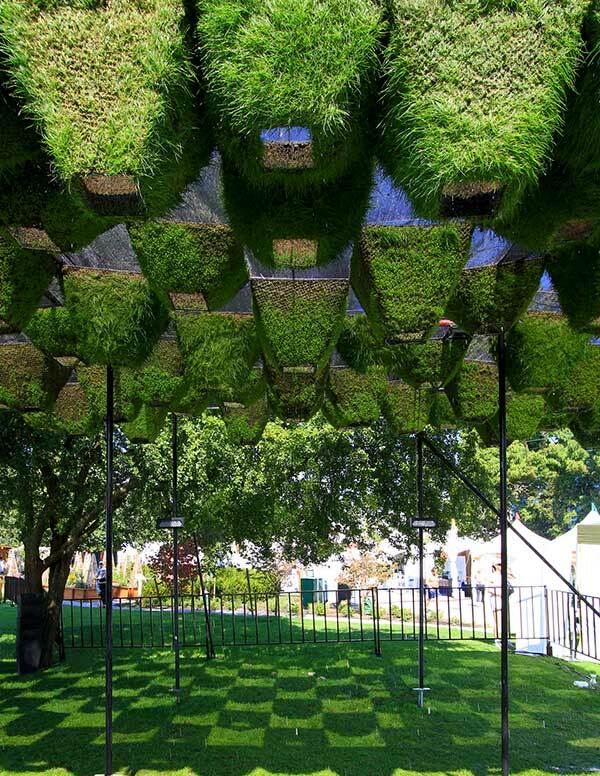 Firm: Matthew Soules Architecture Inc.
A temporary canopy structure that integrates living plants (grass and clover) into a geometric three-dimensional pattern and explores the relationship between the natural and the artificial for Vermilion Sands. The installation by Matthew Soules Architecture is at once atmospheric and celebratory, sheltering the August sun and providing a cooling mist while transforming the entry to Millennium Park into a dramatic spatial environment.